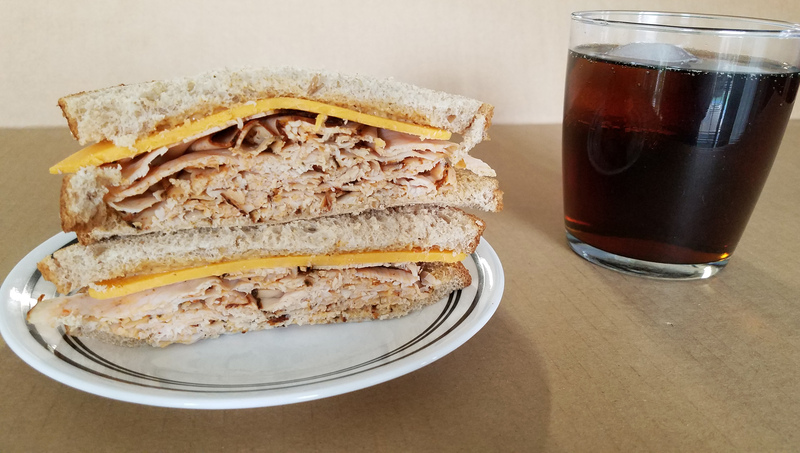 Cajun turkey from Dietz & Watson is great. It’s got a spicy bite that really nails the flavor with perfect restraint. Then how do we let loose? How do we drop the restraints? Self-made cajun mayonnaise. Oh yes. Heavy hand with the spice pour, leads to really, really too much. Not even the sharp cheddar gives a reprieve. Get a drink and sip freely, because you’re gonna need it. But you know what? You’ll also make it. You’re stronger than you know.